WEDNESDAY, Dec. 16, 2015 (HealthDay News) -- Citing heavy last-minute demand, U.S. health officials have extended the deadline to sign up for health insurance coverage under the Affordable Care Act that would take effect Jan. 1. The new deadline is Thursday, Dec. 17 at 11:59 p.m. PST, officials said late Tuesday. The final sign-up deadline is Jan. 31. But, for coverage to take effect on Jan. 1, you must enroll by Dec. 17. Most Americans who don't sign up for coverage under the health care law, sometimes called Obamacare, face rising penalties for remaining uninsured. "Hundreds of thousands have already selected plans over the last few days, and approximately 1 million of you have left contact information to hold your place in line," according to a statement on HealthCare.gov, the federal registration website that also covers 38 states. "We want to make sure all of you have access to affordable coverage. This additional 48 hours will give you a chance to come back and complete your enrollment for coverage starting January 1. "If you provided your contact information on the web or at our call center, we'll send you an email or call you when we're ready for you to come back and finish enrolling," the statement added. The remaining 12 states handle their own enrollment through state-run insurance marketplaces. If you take more time to enroll, your coverage won't take effect immediately. Say, if you enroll or switch plans by Jan. 15, your coverage will take effect Feb. 1. If you put it off until the latter part of January, you won't have coverage until March 1. In a recent blog post, Kevin Counihan, CEO of HealthCare.gov, the federal health insurance marketplace, said there will be no special enrollment period around the federal tax-filing deadline, as there was for 2015. So, if you miss the Jan. 31 sign-up deadline, you may have to wait another year to get coverage, he said. Cynthia Cox, associate director of health reform and private insurance at the Kaiser Family Foundation in Washington, D.C., said, "Between now and a year from now, who knows what could happen and how your health might change." Under the Affordable Care Act, most Americans must maintain health coverage or pay a fine. And, this time around, the penalties for not getting health insurance are steeper than in the previous two open-enrollment periods. People who can afford coverage but choose to go without it (and don't qualify for an exemption from the law) will pay a penalty of at least $695 when they file their 2016 federal taxes in 2017. The Kaiser Family Foundation published a brief this month showing how the penalties shake out for the remaining uninsured. Roughly 11 million uninsured people are eligible to enroll in a marketplace health plan, either with or without federal tax subsidies to lower their monthly premiums. The average penalty for remaining uninsured in 2016 is an estimated $969 per household, an increase of 47 percent from 2015. Among subsidy-eligible people, the average penalty is $738 per household, the foundation estimates, while people who don't qualify for subsidies will face an average penalty of $1,450. 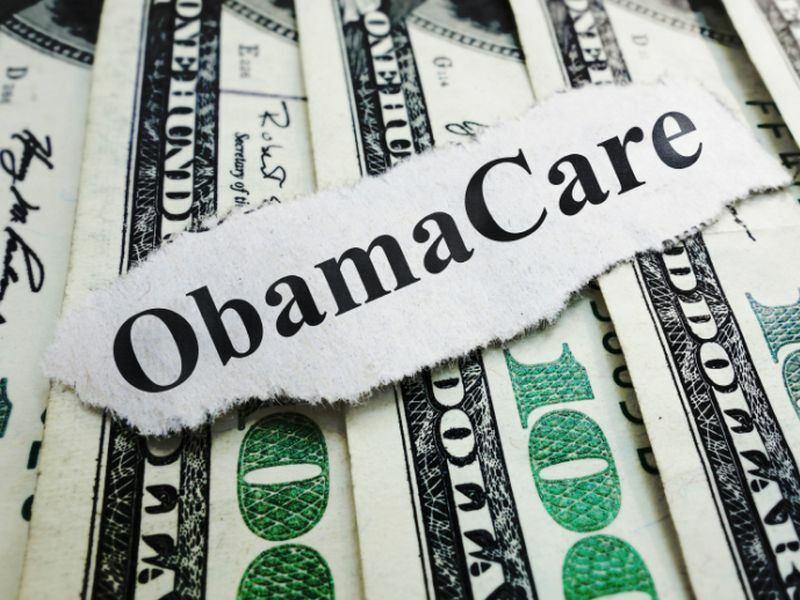 However, the foundation's analysis also shows, for 7.1 million of the 11 million uninsured, paying the penalty will cost less than buying the least expensive Obamacare plan available to them. Cox explained that the penalties were crafted to strike a balance between encouraging people to purchase insurance and avoiding overly punitive measures for those who missed sign-up deadlines or didn't understand the benefit of purchasing insurance. But even if it's cheaper to pay the penalty, having health insurance provides financial protection, she said. "Having that coverage can mean saving money over the course of the year for doctor visits that you otherwise would have to pay out-of-pocket for, or if you were to have a significant illness or accident," Cox said. Michael Stahl is a senior vice president with HealthMarkets, Inc., in Dallas/Fort Worth, one of the nation's largest health insurance agencies serving individuals. He said, "You have to factor in what going uninsured means to you from a health standpoint and financially as well." There are alternatives to ACA coverage, like bare-bones, limited-duration "short-term" health plans, Stahl said. But these plans don't provide the same protections or level of coverage as Obamacare health plans do. Plus, they do not meet "minimum essential coverage" standards under the health law, so you would still have to pay a penalty, he said. "Honestly, for most people, an ACA plan is the right plan," Stahl said. Federal health officials are encouraging people who signed up for 2015 coverage to review their options again because they might save money by switching to a new health plan. However, in most cases, current enrollees who do nothing will be automatically re-enrolled in the same health plan, if it's available, or a similar health plan, if the same plan is not offered. "There are plenty of people who are being non-renewed this year," meaning their health plans won't be offered in 2016 because the health insurer pulled out of the market or went out of business, Stahl added. "So plenty of people have to switch, and you want to do that without a gap in coverage," he said. State exchanges tend to follow the same enrollment deadlines as HealthCare.gov.